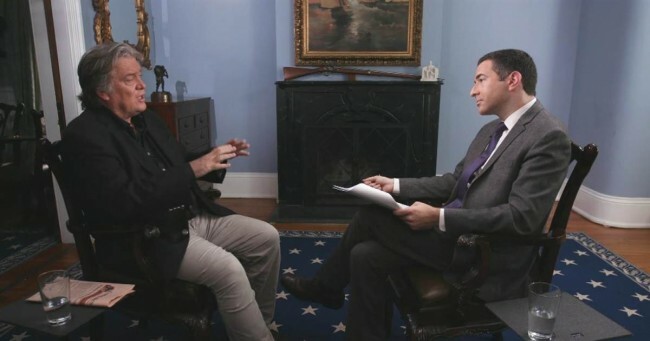 In an exclusive interview, Steve Bannon sits down one-on-one with Ari Melber for his first ever interview on MSNBC. Bannon outlined, among other subjects: his new plans for the midterm elections and why he thinks impeachment is on the ballot; why he is critical of parts of the Trump administration’s economic program; his views of Bob Mueller and the Russia probe; his thoughts on Trump’s gender gap with women voters; and his opinion of the president’s response to the 2017 Charlottesville riot. During the interview, Bannon said for the first time that he has raised over $5 million for his midterm effort, confirmed he did sign an N.D.A. for Trump (but was not paid for it), and that it would be a problem if Donald Trump did know about the Trump Tower meeting in advance.